Film Series: American Cinema of the 60s & 70s! UPDATE: The screening of 2001: A Space Odyssey is scheduled for 1st April at LT 12. 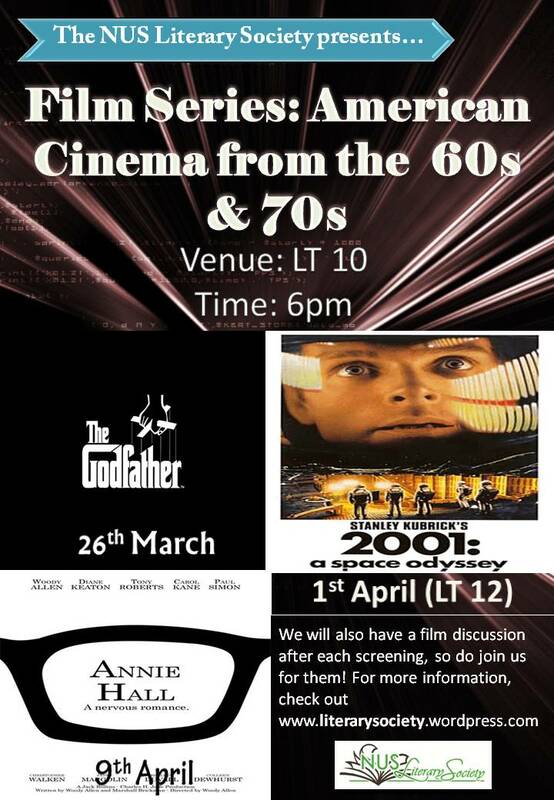 The other two screenings are held at LT 10. Food and drinks are allowed into the lecture theatre during the film. Invite your friends for the screenings. We hope to see you there!